Other scripting changes include some subtle (but very nice) tweaks to the Actions panel. There are now additional buttons on the panel toolbar to aid in quickly commenting and uncommenting single lines or blocks of text. Code folding has also been added, allowing you to select a text block and collapse either the selected block or all the code outside that block. This functionality also extends to collapsing code just between the braces of a selected function. 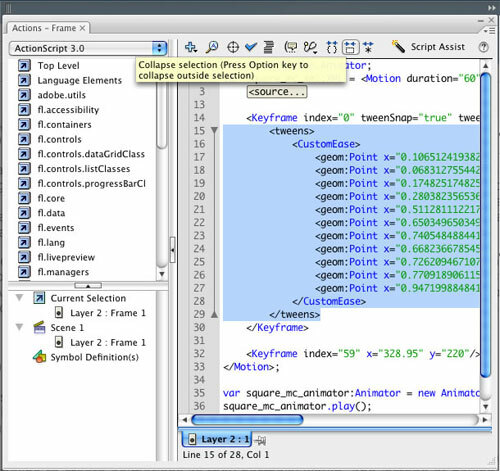 Proficient ActionScripters should be pleased with the addition of a new debugger in Flash CS3, one that shares its roots with Adobe's Flex Builder product. The debugger has a handy feature that takes you directly to erroneous code in the Actions panel when Flash encounters a compilation error. Shifting gears a bit, the ability to reuse motion is a huge new feature in Flash CS3. It works like this: A designer can use the Timeline to create animations as they normally would, and instead of having to go through the rigmarole of copying and pasting keyframes and swapping out assets from the Library in order to duplicate animation, it's now as simple as selecting the frames, copying the motion, and then pasting the motion onto another instance of an object on the Stage. Everything then gets transferred over: colors, filters, position, rotation, scale, you name it. There's even a Paste Motion Special command that allows you to only transfer the specific properties you want. 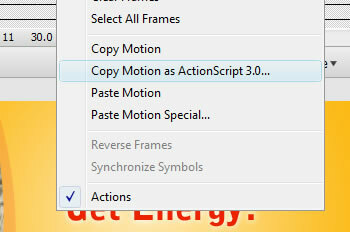 And for designers who have to hand off motions to ActionScript programmers, you can also copy and paste motions as ActionScript 3 code, allowing scripters to precisely replicate keyframed animations entirely in code. Changes to Flash's Component architecture are also big attractions, not so much for what they do (which is functionally similar to previous versions), but for how easy they are to customize. Just drag a Component onto the Stage, double-click it, and the clip opens to reveal thoughtfully laid-out elements that make skinning a trivial task. Unfortunately, the new Components are only available in ActionScript 3 projects, which, if nothing else, serves as ample incentive to get up to speed with AS3. Flash Video has also been tweaked throughout the Flash CS3 environment, and while the changes aren't as earth-shattering as the ones that Flash 8 introduced, there is a decent amount of i-dotting and t-crossing to fill in some of the leftover issues. For example, you can now save compression settings in both the standalone Flash Video Encoder and the import wizard in Flash itself. Both methods also now offer deinterlacing as an option, a feature that was unfortunately overlooked in Flash 8. And, as with Flash's other Components, the video Components have also been enhanced, featuring the same easy customization. 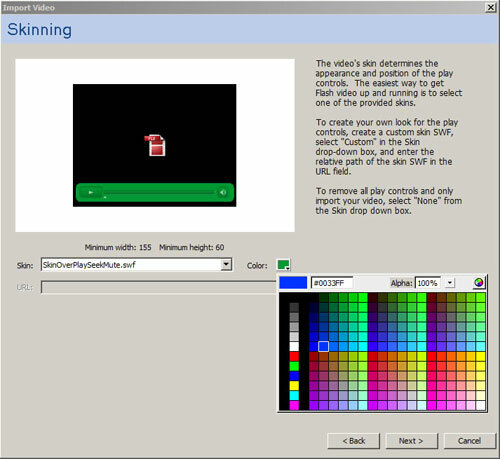 Then there's the fast and easy solution: the ability to quickly change the background color of the included controller skins when importing a video clip. And in the "big one" category, QuickTime export out of Flash has been dramatically improved. Flash CS3 now takes absolutely animated elements in your movie into account, rather than relying simply on what's going on in the main Timeline. If you have animation generated by ActionScript, you're set. Nested clips, check. Filters or blend modes applied, bingo. Basically, everything that the Flash Player would play is translated to QuickTime, which addresses an ancient Flash annoyance. And just to wrap up our all-star Flash CS3 new features tour, let's take a look at a few of the new drawing and design improvements. First, we have the improved Pen tool, which now looks and acts like the one found in Illustrator, right down to the same keyboard modifiers. 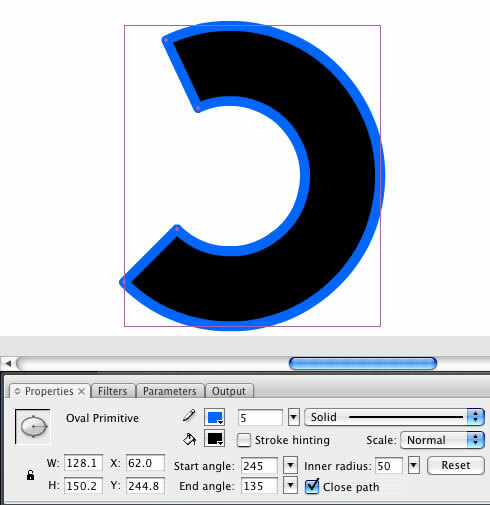 Flash CS3 also adds the oval and rectangle primitives, which allow you to create things like rounded rectangles and arcs with ease. Lastly, the live Scale-9 preview gets a mention. For those not familiar, Flash 8 introduced 9-slice scaling, allowing you to draw 3x3 grids inside a Movie Clip. Those grids dictated which parts of the clip would scale, which parts would scale in one direction, and which parts would stay unscaled, which was especially useful for being able to use a single Movie Clip of (for example) a rounded button while retaining the ability to gracefully resize individual instances of that button. However, Flash 8 did not offer live previews of scaled instances, so it required testing the movie to visually confirm changes on the Stage. In Flash CS3, Scale-9 objects now display correctly on the Stage during development, which is a huge time (and sanity) saver for those who make extensive use of Scale-9 objects. Whew! That's a pretty good helping of new stuff, and taken all together, Flash CS3 is a solid version. It's obvious that Adobe wanted to make sure Flash put its best foot forward as the new adopted child of the family, and Flash CS3 doesn't disappoint. So is there anything wrong here? Sure--there's always something to complain about, though in this case everything falls into the category of relatively minor nits. First, as a designer (and intermediate ActionScripter on my best day), I'm not nuts about the changes in ActionScript 3. Yes, I know AS2 is available, but you can't use AS2 with the new streamlined components, so it kind of forces your hand. It's also not trivial to port legacy projects to AS3; basic things like button clicks have to be completely re-written to conform to the new language. I'm also not thrilled about Adobe's approach to playback of FLV content. Straight FLV playback has never been a trivial task, and while a simple "double-click to view" FLV player would have sufficed, apparently we must collectively wait for the advertiser-friendly Adobe Media Player later this year to "officially" handle FLV playback. In the meantime, VLC plays back FLV clips admirably, as does Adobe's own Bridge application. Mac users can also use the Perian codecs to view FLV clips directly in Apple's QuickTime Player. Overall, however, between Flash 8 and now CS3, most major gripes have been addressed, and thoughtful and worthwhile new features have been introduced. Flash CS3 works well across platforms; the Mac version is every bit as fast, as responsive, and as "quirk-free" as the Windows versions (XP and Vista), especially on Intel Macs (for both Flash 9 content playback as well as the authoring environment). The CS3 upgrade seems to mostly be about refinement, compatibility, and integration, and, on those points, Flash CS3 is a complete success. So now that you've been buttered up by the new and cool stuff in Flash, it's time to throw some cold water on this party. In a nutshell, the other three former Macromedia Studio products range from "ho-hum" to disappointing, yet in the midst of all the "meh" I'm about to spew forth, a few nuggets of excellence still stand out. Let's start with Dreamweaver and work our way ahead from there. GoLive is out, and Dreamweaver is in. No real shock there, since Dreamweaver is very widely used. But for all the effort put into making Flash CS3 look and behave like an Adobe product, Dreamweaver seems to be left holding the bag. The CS3 interface is nowhere to be found, save for the "periodic chart" icon and splash screen, and the latest version has very limited new features. Unfortunately, this approach has been the norm for the last several Dreamweaver updates, and a new corporate parent hasn't seemed to change things much. Let's cover what few additions there are to Dreamweaver CS3 because, while there aren't many, some are at least significant. In practice, the integration with the Spry Framework performs marvelously. While it's not "dead simple" to connect to and parse XML, the process should be within the grasp of those new to Web design in general, which is no small feat. Widgets and Effects are also easy to add, and everything I tested worked well across modern browsers, which for the purposes of this piece (though not normally) includes IE6. So if you're looking for a relatively painless way to start creating Ajax-based sites, the Spry Framework integration in Dreamweaver CS3 is a compelling option. As for CSS, Dreamweaver continues its proud tradition of supporting Web standards and respecting the way you code, and the new CSS features are an extension of that. First and foremost are the inclusion of an enormous amount of CSS-based templates. 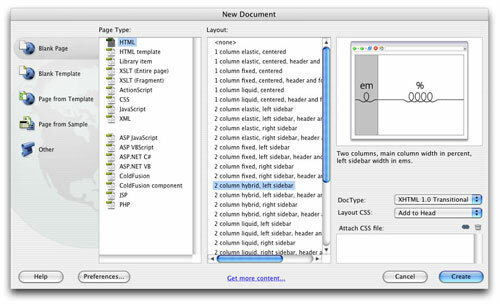 If you're new to Web design, these alone might be a reason to purchase Dreamweaver CS3, as not only do the templates offer an insane number of table-free layouts, they also are meticulously commented to show you what's going on. It's a pretty amazing resource, though it's not hard to imagine that over time the commenting may get in the way once you find your sea legs. Another CSS improvement is the addition of the Browser Compatibility Check, which is closely tied into Adobe's online CSS Advisor resource. It works like this: You run the compatibility check, and Dreamweaver audits your code to see if you have any areas where certain browsers may render your pages differently than you planned. Where appropriate, Dreamweaver also has a View Solution link that takes you to the corresponding page on the CSS Advisor site, where you'll find possible fixes to the problematic CSS. 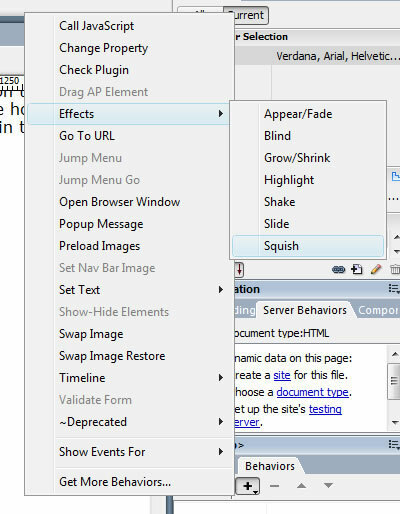 It's very handy, and on some pages where I knew IE6 (for example) was going to have problems with certain styles, Dreamweaver caught the problem and located the correct solution page online. 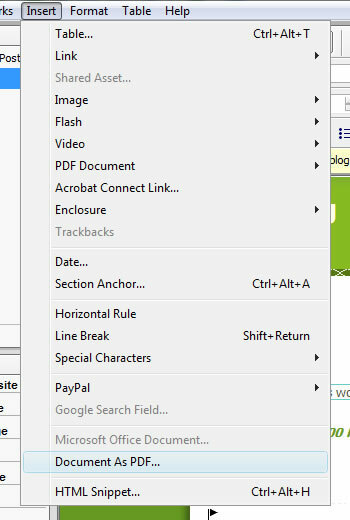 The last item of note as far as CSS goes is the new management features that Dreamweaver CS3 offers. Web folk know that there are many options for stashing styles: You can put them in a separate file, surround them with the <style> tag in the head of your page, or place them inline with the rest of the HTML. 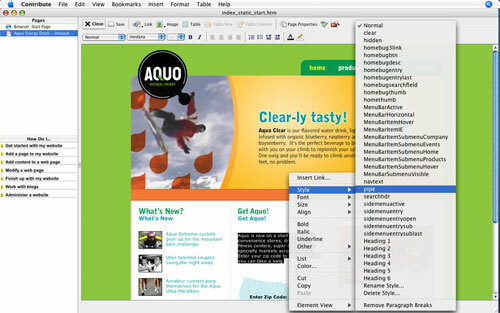 Dreamweaver CS3 aims to make converting and moving your CSS code relatively painless by offering several options of its own, including drag-and-drop reordering of styles, options to relocate inline styles elsewhere, or move rules into external stylesheets. This feature also worked well in practice; as my pages grew and styles were strewn about like so much confetti, the management features really helped with overall organization. And in the miscellaneous category, one feature I'll mention is the token nod given to the pervasive mantra of integration that's so prevalent in Flash, Illustrator, and Photoshop. I'm speaking of Dreamweaver's cut-and-paste integration with Photoshop, which is billed as "advanced integration," but is simply a fancy link back to a Photoshop source document even if you've copied just a small area of the source file. However, I found that the feature simply doesn't work correctly. I had no problem copying merged layers out of Photoshop and pasting it into Dreamweaver, but when the time came to edit the source PSD file, Dreamweaver could never locate it. So much for advanced integration. As for the overall product itself, the main issue isn't so much what's wrong with Dreamweaver CS3, it's that so much is still wrong with Dreamweaver after all these years and versions. One would have hoped that the move to an entirely new programming environment (XCode) to enable Universal Binary compatibility on Intel Macs would have fixed some of the strange and long-standing quirks and display bugs that have plagued prior Mac versions, but it appears that whatever Dreamweaver 8 was is apparently still good enough. However, one bright spot I did notice is that at least on the Intel Mac version, the overall sluggishness (redraw lags, choppy scrolling, etc.) present in previous versions is now more or less gone; Dreamweaver CS3 is downright responsive and snappy for the most part, though large pages with lots of text still exhibit the occasional lag when placing the cursor and typing in new text. 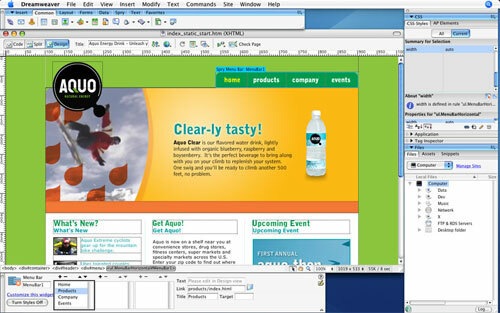 Of course, on Windows, application performance has been much less of an issue, and fortunately, the same holds true for Dreamweaver CS3, even on Windows Vista. 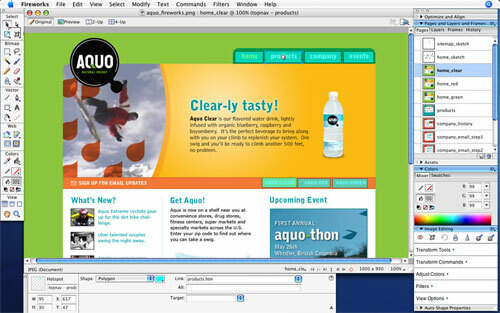 It's a shame that Dreamweaver wasn't given a makeover the way Flash was because it is long overdue for a refresh. However, if you look at the overall product with "fresh" eyes, just because Dreamweaver CS3 isn't significantly better than Dreamweaver 8 (or MX 2004 or MX, for that matter) doesn't mean the product is a bad one; it just means that we're collectively left waiting on long-overdue changes for yet another revision. And while there aren't very many new features, the ones that are present could each represent a strong reason to upgrade, even as the overall presentation of Dreamweaver CS3 as an upgraded product seems very incomplete. Fireworks, like Dreamweaver, has also received its share of jeers over the last few versions for essentially standing pat, and even though Adobe is attempting to re-focus Fireworks CS3 as a prototyping tool, the same criticism applies: Fireworks CS3 just doesn't offer very much. And despite muscling out ImageReady as the Web image helper app of choice, very little effort seems to have been made to bring Fireworks CS3 into the CS3 family. In fact, if it weren't for three very visible new features, one may be tempted to think that Fireworks 8 was being bundled into the CS3 product line. First off, let me preface things by saying that Fireworks' traditional strengths--its uncanny ability to mix vector with bitmap images, its excellent batch processing and image compression tools, and its penchant for helping to create HTML and CSS-based sites out of source images--still remain. In essence, all the things that made Fireworks an excellent Web image production tool in previous versions are still evident in Fireworks CS3. Unfortunately, the interface to harness all this power is unchanged as well; Fireworks CS3, like Dreamweaver, eschews the CS3 interface in favor of the old-style, turn-of-the-century Macromedia panels. Now, on a Windows machine, it's not too terrible, as the single-window application paradigm in Windows evens things out a bit. But on a Mac? Ugh. Again, there really isn't much to talk about in terms of new features; as I mentioned, there are really only three worth discussing in any detail. The first is the concept of pages. In keeping with Fireworks' new-found focus on prototyping, Fireworks CS3 adds a Pages panel, which allows you to create multiple page layouts in a single document. 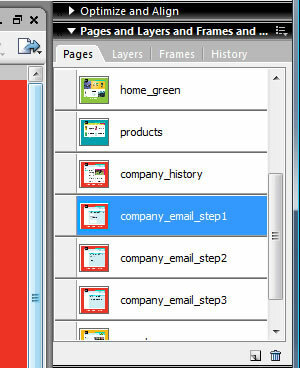 Each page can contain either its own layers or those that are shared across multiple pages, and you can designate a master page with elements that will apply to all pages. You can also assign hotspots to specific page areas which link to other pages, and then Fireworks will export the whole shebang to HTML for easy review and perusal through a Web browser. That sounds nice, and the pages feature and HTML export work as advertised. However, the process to actually share layers between pages is extremely clunky and convoluted, often requiring multiple frustrating steps to ensure that a particular layer is, in fact, shared correctly. It does work, and work well once you figure it out, but the process is so strange that one wonders how any time and effort savings are possible, especially when you bring images over from Photoshop to begin with. Personally, this feature isn't going to get me to abandon the battle-tested Layer Comps feature in Photoshop anytime soon. 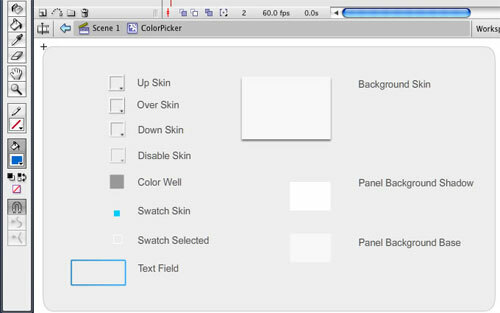 Lastly, let's talk integration, specifically with Photoshop, Flash, and Flex Builder. For the former, Fireworks now retains as much information as possible when importing Photoshop documents; filters and blend modes will now transfer into Fireworks (as live filters), and you can now open as well as save native PSD documents out of Fireworks. The same goes for Illustrator; now that Fireworks is part of the Adobe family, it figures that with access to the Illustrator file format comes the ability to import Illustrator artwork with greater fidelity than before. To test it out, I opened a slew of both Photoshop and Illustrator images with Fireworks, and it handled everything I threw at it with ease, though certain features, like Adjustment Layers in Photoshop, were not retained. As far as Flash is concerned, Fireworks images that contain pages will import into Flash as separate Movie Clips, neatly organized in the Library. You can also choose to keep text and artwork editable, or convert either one to bitmaps in order to maintain appearance. Scale-9 guides made in Fireworks will also be respected when brought into Flash. The last integration-related point has to do with Fireworks' relationship with Flex Builder (Adobe's IDE for creating Flash-based rich applications using the Flex framework). 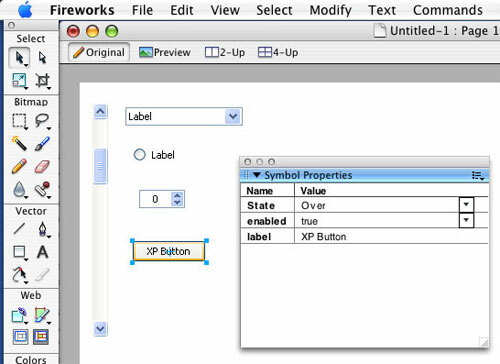 If you use the Flex rich symbols from Fireworks' Common Library, Fireworks will export out MXML (Flex's scripting language) along with the images, a fact that may not interest designer-types too terribly much, but nonetheless represents an important hand-off feature for designers working closely with programmers on Flex projects (or programmers simply looking for a mockup tool that won't require laying out the interface again after shifting work into Flex Builder). So that's a potentially nice feature, if something of a niche one. Anyway, there you have the nuts and bolts with Fireworks CS3. As is the case with Dreamweaver, Fireworks CS3 represents a lost opportunity more than anything else. Fireworks was long overdue for an overhaul, most notably with the interface, and this version was the time to do it--not another version down the line that end users will be expected to pay for (again). First impressions are important, and Fireworks' interface is so dated and so unlike other CS3 offerings that new users to the former Macromedia product may get quickly frustrated with the almost alien presentation and not give Fireworks a fair chance. 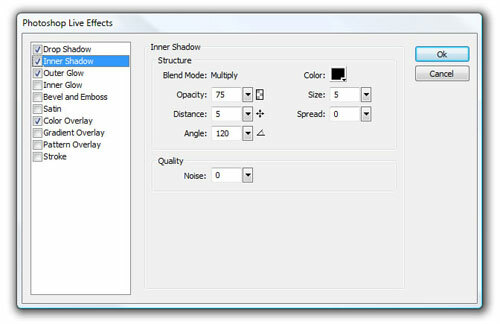 There is still a lot of power under the hood, and Fireworks overall is still a very nice product that does its job very well, but if Adobe wants to shove Fireworks into Director and Authorware territory by seemingly not caring about modernizing the software, then Fireworks' days may be numbered (at least with respect to anyone using it for serious production). In any event, the lack of new and compelling features coupled with the apparently blasé attitude about truly bringing Fireworks into the fold all add up to something of a bitter pill to swallow. If you have to hand your Dreamweaver-made creations over to those notorious "others" for updating and maintenance, chances are that Contribute has made its way into your workflow at some point. Contribute CS3 continues as something of a hybrid product these days, combining the WYSIWYG editing features of the PageMills of yore (updated with CSS support and the like for today's Web development) with those of a dedicated blogging client. And like the CS3 incarnations of Dreamweaver and Fireworks, Contribute CS3 is essentially an "as you were" product, adding only a few minor features and updates, which we'll blow through presently in the interest of getting you out of here before dinner. Contribute will attempt to auto-discover blog connection details using only the URL of the blog. Contribute now has the ability to convert Office documents to PDF files. IPv6 addresses are now supported. Contribute CS3 isn't likely a huge factor in whether or not you'll upgrade your entire Web suite, so I'm not going to rail on its lack of new features. Really, where else is it going to go? It works well for what it does--I had no trouble connecting to my own Web site and changing pages, nor did I encounter any difficulty connecting to Blogger. I also liked the Firefox 2 integration, which allows you to dump out of your browser and into Contribute to edit a specific page or add content to a blog entry. However, I did run into some issues connecting to various types of blogs. While Contribute connected correctly to and displayed entries from my own self-hosted WordPress setup, Contribute only displayed the first paragraph of each entry, which effectively meant that I couldn't edit entries or add new ones in the existing site format. I also couldn't connect to a Roller-based blog at all, either through Contribute's new auto-discovery feature or a series of custom URLs. Overall, however, Contribute CS3 acquits itself well enough, though if you have a stable of earlier Contribute licenses and don't need explicit Universal Binary or Vista compatibility just yet, the new features on their own may not be enough of a reason to upgrade standalone versions. Don't take all the harping the wrong way--there are a great many things to like in the CS3 Web Premium suite. Flash is a better-than-average upgrade, and though they weren't a part of this particular piece, Illustrator and Photoshop have been packed with new and useful features that belie their extreme maturity at this point. Dreamweaver and Fireworks both add some nice things, but the fact that those two products haven't been changed much is disappointing to say the least. I understand that bringing Universal Binary compatibility to all the products constituted a considerable development expense for Adobe, but that's an "under the hood" feature when it comes right down to it. It's more upsetting that Adobe seems to have forgotten that both Dreamweaver and Fireworks are taking the place of other Adobe-branded programs in the CS3 suite, and with this as the stated case, many first-time users of either product may have to struggle through adapting to what is now a non-standard interface (not to mention mixing and matching interfaces when the products are used together as Adobe suggests), and that detracts from the suite as a whole. Also keep in mind that with so many mature products tied together with so many integrated features, there feels like there is a considerable amount of bloat inherent in the product line as a whole. None of the programs could be considered light or nimble on their own, though there are no specific performance issues to speak of once the individual programs have been launched and are running. All are very responsive and generally well behaved, with comparable performance on Mac OS X, Windows XP, and Windows Vista. It does bother me, especially on the Mac side, how Adobe sees fit to throw files all around the system that are both difficult to track and move/remove without going back to the Installer or resorting to a cleanup script, but the sheer number of products and the integration involved (not to mention all the activation bits, which is another conversation entirely) make the need to hook into the host system at least understandable, if not likable. I also found it perplexing that there is no way to leave the helper apps (Bridge, Stock Photos, etc.) out of the initial install, effectively sticking you with the aforementioned "potato" dishes whether you want them or not. Now, when you have a product with the size and scope as CS3 Web Premium, it's almost worthwhile to compare whether or not to purchase or upgrade the suite to the purchase of a music CD. Granted, that would be one expensive album, but the forthcoming analogy holds up pretty well. For me, the rule of thumb is that if an album has at least three really good tunes and one or more OK ones, I'll go ahead and get the whole CD (or the full album from the iTunes Store, or what have you). The same economy of scale applies here: If the suite has enough worthwhile products with enough good features to represent a savings versus buying or upgrading the individual products separately, it's a worthwhile proposition, even if you're technically paying for stuff you may not really want. CS3 Web Premium, in case I haven't made it clear enough by now, is a mixed bag, but, overall, the bulk of the great new features went into most of the "star" products (Photoshop, Illustrator, and Flash). Dreamweaver should have been included here, but it was largely left alone, which is disappointing, but Dreamweaver is still Dreamweaver, and it is still quite useful as a site-building application, updated or not. So, using the CD analogy, by my count I have three really good tunes (Flash, Photoshop, Illustrator) and one OK one (Dreamweaver), so there you go. It's time to hand out grades, and Adobe CS3 Web Premium earns a split mark: it gets a B+ as a new purchase, and a B as an upgrade. If you haven't yet bugged the decision maker in your department for a copy, you'll need to know the following purchase costs and upgrade paths. As a new purchase, CS3 Web Premium will set you back $1,599. As far as upgrades go, be prepared to shell out $499 if you own Macromedia Studio MX or later or Adobe CS Standard or later. You can also get that price if you own individual copies of Dreamweaver MX, Fireworks MX, and Flash MX or later. (You have to own all of them.) There's also a $1,399 upgrade for single product owners (Photoshop 7 or later, Illustrator 10 or later, Flash MX or later, and Dreamweaver MX or later). Of course, check your usual outlets for specific educational pricing. K-12 licensing for the Web Premium Edition provides 500 seats for a single site, including teacher home use rights and home use on student computers that are owned or leased by the school, for $7,499. About the author: Kevin Schmitt is a freelance designer and writer based in Waynesboro, VA. He can be reached at 1105@ksdd.com. Have any additional questions? Want to share your story? Want to pass along a news tip? Contact Dave Nagel, executive editor, at dnagel@1105media.com.